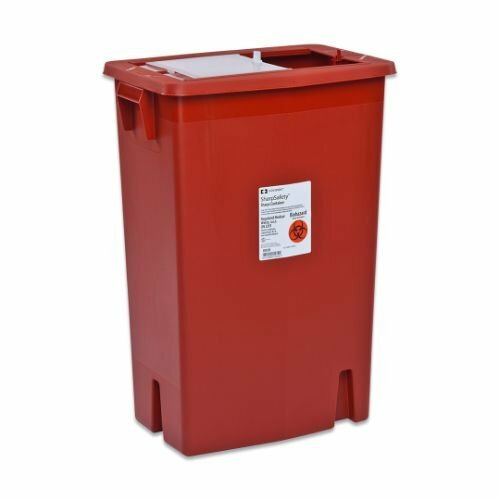 Large Volume sharps containers are designed to accommodate sharps of all sizes. Covidien offers a variety of different sizes and lid designs to meet all of your various sharps disposal needs. Covidien's Large Volume sizes range from 8 gallons to 30 gallons and are available with sealing gaskets.